Take Back the Light is Canada’s leading light recycling program for businesses and institutions, and provides a simple low-cost opportunity to have fluorescent lamps and light fixtures to be recycled responsibly. 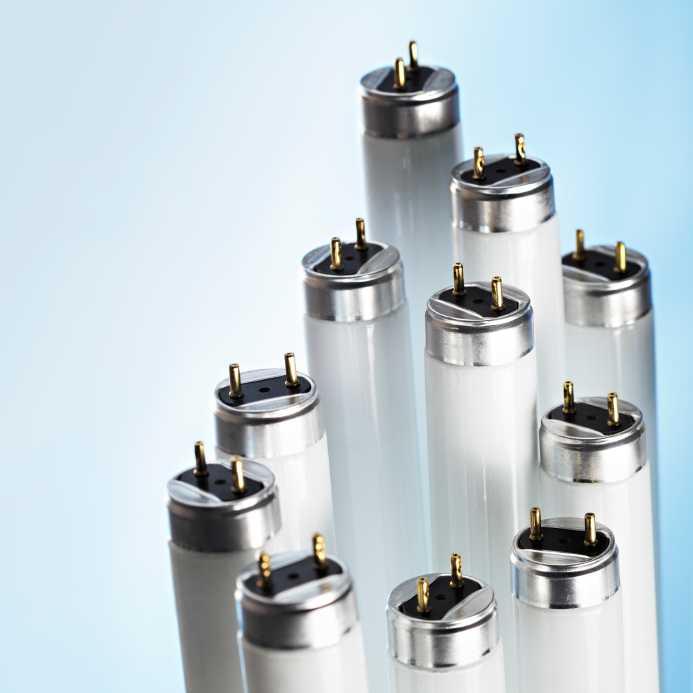 The program works with both buyers and sellers of fluorescent lamps of any kind to recover and properly recycle lights to the highest environmental standards. Ninety-eight per cent of each light collected is diverted from disposal with component parts reused wherever possible. For buyers of lights, there is no cost to join Take Back the Light and every light is verified and validated for recovery, recycling performance, and compliance through a third-party audit using internationally approved standards. For sellers, Take Back the Light offers tracked and verified light recycling service as a value-add for current and future customers. There is a modest registration fee, and collection services must be arranged. Take Back the Light is a program managed by the Recycling Council of Ontario (RCO). Recycling Council of Ontario (RCO) is a not-for-profit membership-based organization committed to minimizing society’s impact on the environment by eliminating waste. RCO’s mission is to inform and educate all members of society about the avoidance of waste, efficient use of resources, and the benefits and/or consequences of these activities. Since 1978 our commitment to Reduce, Reuse, Recycling has driven our actions, and is the bedrock of our efforts to help facilitate the efficient use of resources and transition the economy from a linear to circular model where post-consumed materials are integrated back into use and production cycles. Why Take Back the Light? The improper disposal of fluorescent lamps results in hundreds of kilograms of mercury leaking into the environment contaminating water bodies to the point that fish may not be safe for consumption. Take Back the Light keeps harmful mercury emissions from polluting our air, water, and soil. 98 per cent of each lamp collected is diverted from disposal, recycled and the component parts are used in new products (glass, aluminum, phosphorus, and mercury). Participating Take Back the Light distributors have the opportunity to provide value-added services to their customers by offering to take back all spent lamps. For lamp buyers, if you are not working with a Take Back the Light distributor, the program’s website can refer you to one or we can tailor the program to suit your specific recycling needs. Take Back the Light ensures you always get the best possible price for lamp recycling. As the program expands and the number of participants increase, the recycling costs will go down. 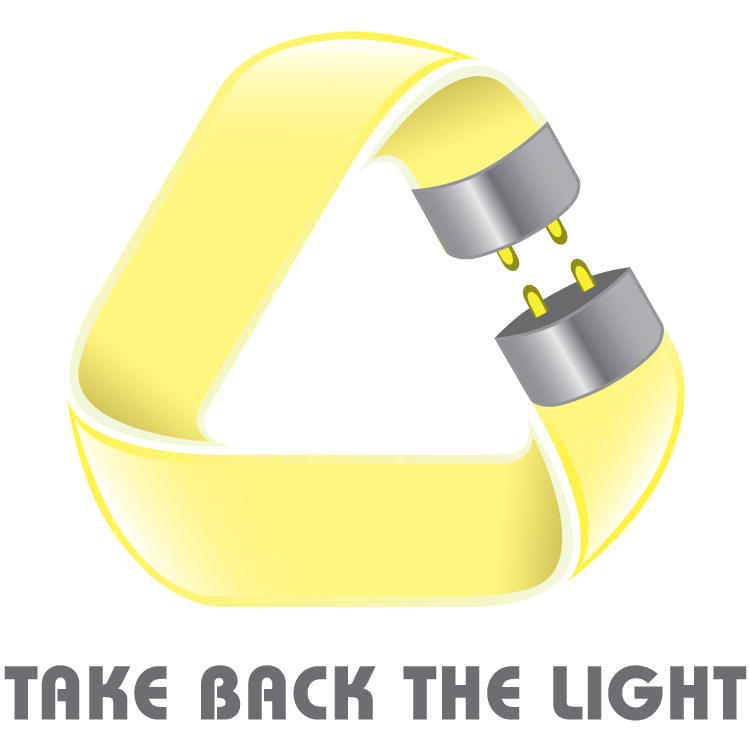 Take Back the Light participants get profile opportunities through our website and media. All participants will be individually listed and profiled.